An eternity ring traditionally symbolises everlasting love, making this gorgeous piece the perfect gift for a special birthday or anniversary. This piece makes a beautiful present, or to add a twinkle to your own jewellery collection. 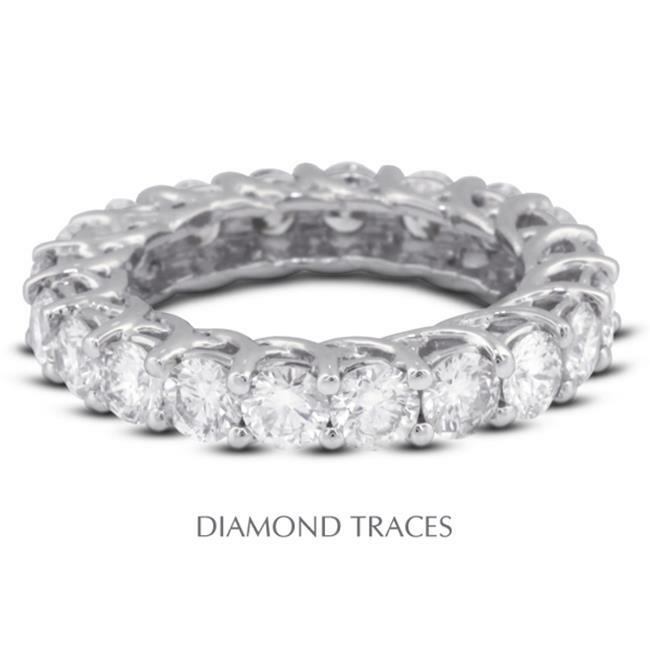 This beautiful 18k white gold trellis style eternity ring features 21 round diamonds with a total weight of 3.16 carat. The diamonds are certified by AGI Laboratories as a 100% Natural Diamond G color, SI2 clarity, and with Excellent cut. To emphasize the true fire and brilliance of the diamonds, our master jeweler chose 4-prong setting method.